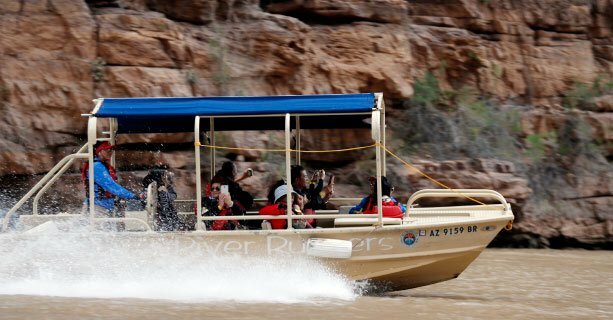 Take a gentle hike to the base of the Colorado River and board a pontoon boat. 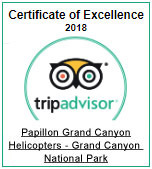 Following that, sit back and relax on a one mile boat trip on the majestic Colorado River, then return to the helipad for your return flight to the rim of the canyon. 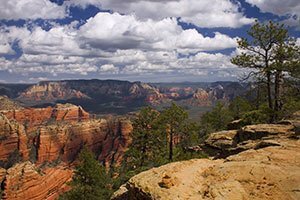 Your air-conditioned motorcoach awaits to take you to the first stop, Eagle Point. 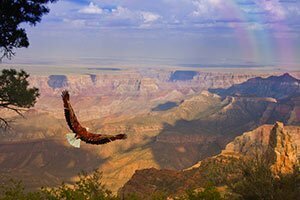 Get your camera ready as you will be amazed at the views of the eagle-like rock formation and the beautiful colored walls of the Grand Canyon. 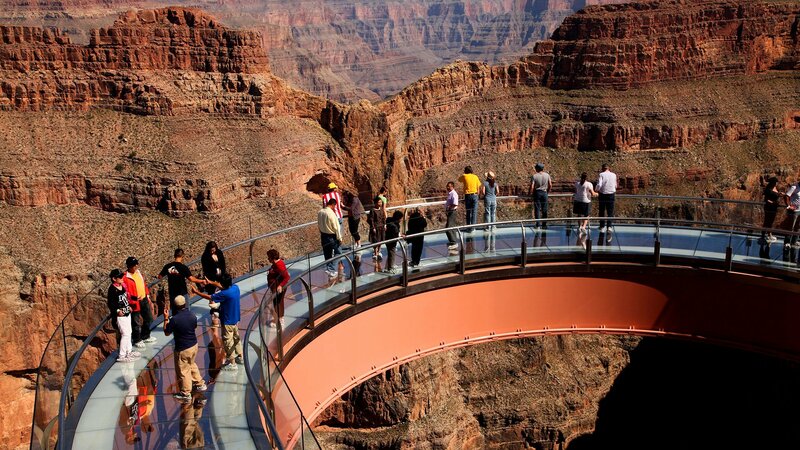 You’ll then experience the Skywalk, a glass bottom bridge suspended 70 feet over the edge of the rim. 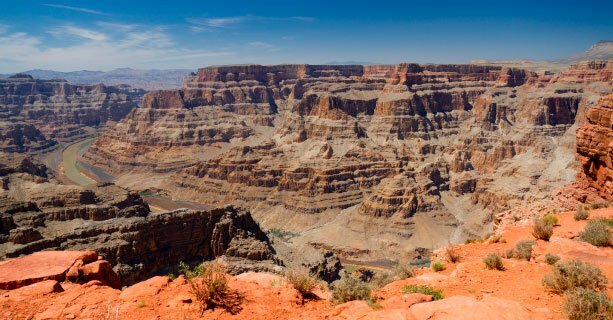 You’ll then proceed to Guano Point for more picturesque views before heading back to Las Vegas. 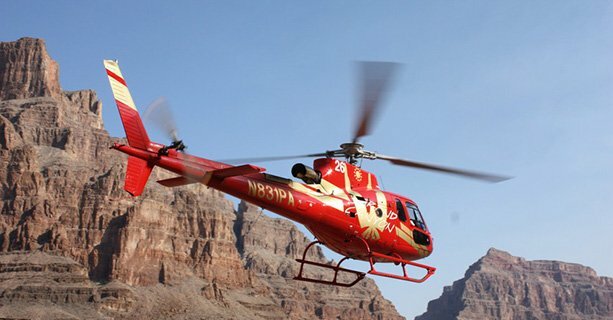 A meal is provided to enjoy at your convenience during your visit to the Grand Canyon. 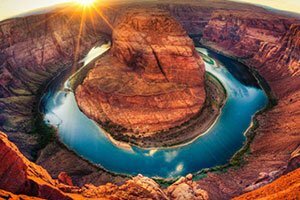 Approximately 35 minutes to Grand Canyon West. 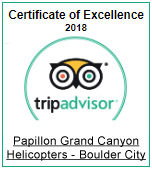 Helicopter ride to canyon's bottom. Ascend 4,000 feet back to the canyons rim. 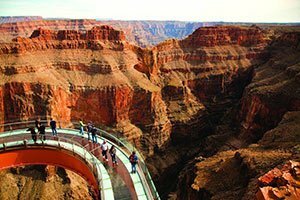 Venture out on the Skywalk Bridge at Eagle Point. When you're done exploring, transfer to Guano Point for more picture taking. An approximate 35 minute flight back to the terminal. 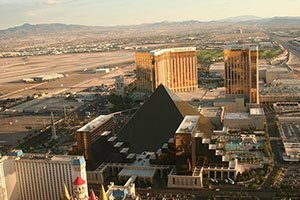 Once you are back you will be loaded onto a motorcoach and taken back to your hotel.